the best that science has to offer for their anti-aging, hydrating and reparative properties. Each and every facial is customized to your specific skin needs. Your facial includes a deep cleanse using papaya and pineapple enzymes, followed by a customized peel, a custom mask and a beautiful, antioxidant-filled French facial massage designed to tone, tighten and improve collagen and elastin in your skin. We always include our regenerative Echo 2 pure liquid oxygen infusion at the end of every facial—it's our signature, award-winning system. Our most restorative, corrective, age-defying and coveted treatment. 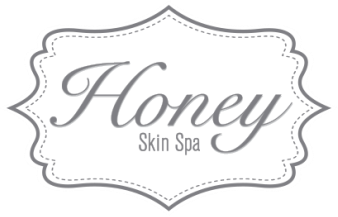 This Honey signature facial combines 87 different vitamins, minerals, enzymes, amino acids and pure oxygen. We use only the finest Echo II medical-grade oxygen machine and a combination of enzymes, AHA's, B5 complex, pure retinol, and Vitamin C and Vitamin E for tissue repair and luminosity. The treatment ends with 20 minutes of pure, antioxidant-infused oxygen. This treatment takes the Oxygen Facial to the next level. LED Therapy is known for its ability to rejuvenate skin, increase micro-circulation and repair tissue at the dermal layer, resulting in happy and healthy skin cells. It is clinically proven to be extremely safe and scientifically effective. Our photo-rejuvenating LED lights are the only FDA-approved device cleared to treat skin with red and blue light simultaneously, which greatly enhances results. Red light decreases inflammation in cells and increases fibroblast production, which aids in collagen and elastin synthesis. Blue light is fantastic for killing acne bacteria by penetrating through the epidermis to destroy new breakouts and preventing future ones before they happen. Dermaplaning is an excellent form of exfoliation that benefits every age and skin type. (It was actually designed for people with very sensitive skin.) Using a handheld tool to scape the surface of the skin, this technique removes 2-3 weeks worth of dead skin cells and peach fuzz—resulting in beautiful, baby-soft skin. This facial includes all of the best technology to give you more youthful, clear and radiant skin: papaya and pineapple enzymes further the exfoliation process under our LED Light Therapy to stimulate collagen growth and kill bacteria; an antioxidant and mineral-infused facial massage; and, of course, our famous oxygen mist that helps calm, plump, hydrate and add glow. will be stimulated to produce and reveal plump, supple skin. Note: This treatment can cause swelling/inflammation immediately after, so we send you home with safe products to use for 48 hours. This will prevent any allergens or irritants to be introduced to the skin and help the epidermis heal quickly. ​healing, calming and soothing for even the most sensitive of skin types. This facial includes a sugar cane peel to add brightness, a deeply nourishing antioxidant mask, and our pure Vitamin C serum to help diminish fine lines and hyper pigmentation. Reiki helps restore the union of the body, mind, and spirit. This healing therapy reduces stress and calms the body. through your body through the use of symbols and light touch.​ It is aligned with the divine and can only do good! since men ​usually need deeper cleaning, exfoliation, extractions and more of a revamp as opposed to our ladies. Guys, you will leave looking healthy, fresh and clean! to create everything from a little flirty demi look to a full lavish set. after care. The initial appointment lasts anywhere from 45 minutes to 2 hours depending on the look. ​Lash fills (upkeep for your beautiful new lashes) are every 2-4 weeks, and range from 45 minutes to an hour. ​curlers that can pull, tug on and damage your natural lashes. Having your lashes lifted can create the appearance of a longer-looking lashes. vegetable base dye great for coloring light lashes with great staying power. We love brows and we want you to love yours! Whether you're looking for a nice tint, a clean-up or help finding the right shape for you, we do it all. *Waxing is not recommended for clients currently using Renova, Accutane, Retin A, Differin, Tazorac or who have recently had chemical or laser peels; however, we can also discuss other options like tweezing.